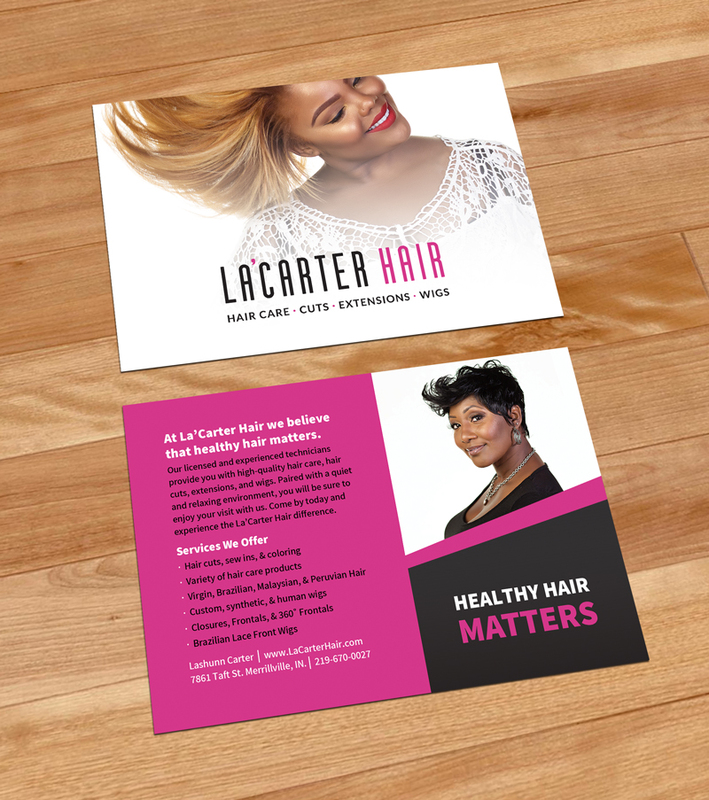 La’Carter Hair believes that healthy hair matters. Their licensed and experienced technicians provide clients with high-quality hair care, haircuts, extensions, and wigs. The salon caters to an urban audience and their brand was in need of a new visual identity to connect with a younger and more experimental crowd. The newly created brand identity was inspired by the sharp hairstyles for which the salon is known for. The identity began to form through a sophisticated and feminine color palette, stylish san-serif fonts, sharply cut layouts, and colorful photography of inspirational hairstyles. 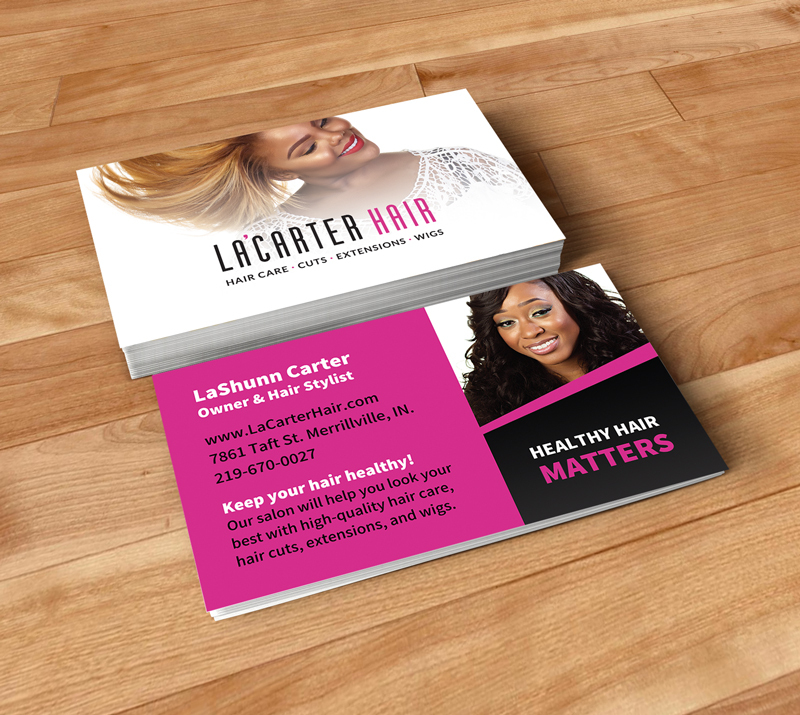 Through strategic marketing and brand recognition, La’Carter Hair is cutting a fashion-forward path for themselves in NWI.